There were indications yesterday that paucity of funds may constitute a major set back to the conduct of the proposed national population and housing census billed to take place next year. 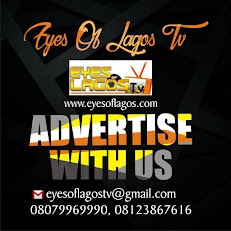 EYES OF LAGOS gathered that about one year to the proposed population and housing census, the National Population Commission (NPC) is yet to carry out Enumeration Area Demarcation (EAD) in 700 local government areas (LGAs) across the country. The EAD is one of the core preparatory activities for the census which constitutes the foundation on which the entire census architecture stands. NPC had in 2016 demarcated 37 local governments in the first and second phases of the EAD exercise in 37 local governments in the 36 states and the Federal Capital Territory (FCT) as well as another 37 local governments in the third phase in March 2017, making a total of 77 local governments out of 774. The NPC has, however, blamed inadequate funding for the delay, while hoping to complete the exercise before the end of this year. Chairman of the commission, Eze Duruiheoma, who disclosed this assured that “barring fund constraint, the commission should be able to complete the EAD before the end of the year and well ahead of the first quarter date for the conduct of the 2018 census”. Stressing the impact of the exercise to the entire census activities, Duruiheoma said, “In the pre-census period, the total number of EAs and its distribution are required for census planning, particularly the deployment of personnel, logistics and materials for the pretest, trial census, the main census and the post enumeration survey. “Also, in the post census period, the products of EAD are required for effective dissemination of the census data, particularly at the small area level. The EAD is therefore the vehicle that drives the entire census process in the pre-census, actual enumeration and post census period”. The proposed 2018 national population census is estimated to cost N272bn. The federal government is expected to fund the exercise by only 51 per cent, while the international donor community will fund the remaining 49 per cent. Speaking to journalists in New York recently, the Director-General of the NPC, Dr. Ghaji Bello, said, “The submission we have made to the Federal Government is in the region of N272bn. But the good thing is that that the N272bn is not for one single year. “It is spread along a four-year tenure. There’s pre-census activities, that is the preparation; the actual census proper itself and the post-census enumeration activities. So, maybe you are looking at an average of maybe N40bn in the first year, another N100bn during the actual census itself and then the balance during the last year. “But the beauty again is that not all the resources are normally provided by the government of the federation. The international community does come in and supporters like EU, USAID ; from the previous record that we have, the ratio is 51 to 49 per cent. “The 51 per cent is provided by the federal government while the 49 per cent is provided by the international donor community. Normally, there is no country that does census on its own and more so, it is a very capital-intensive activity. Funding is important because we have to demarcate. “There is an exercise that is called Enumeration Area Demarcation which is supposed to be the foundation or the building block of census. And that is supposed to be carried out in every hamlet, every village, every local government, every household and then the entire nation. That is normally a costly exercise, very expensive. And of course, up till now we have only been able to do 74 local governments out of 774”. 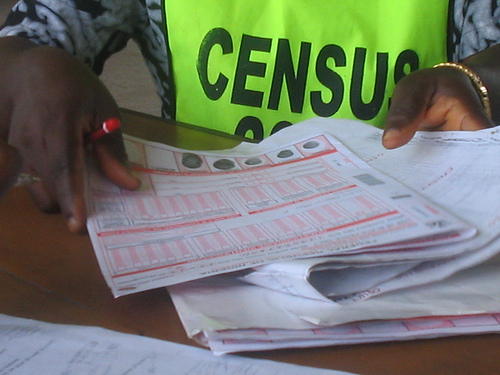 EYES OF LAGOS recalls that Speaker of the House of Representatives, Yakubu Dogara, had last week cautioned against the conduct of population census in 2018, saying the outcome of the exercise may become vulnerable to manipulation. He called on those clamouring for conduct of the census to exercise patience till after the 2019 general elections when there would be no political pressure to manipulate its outcome. Noting that conducting a population census in an election year may generate unrealistic results, Dogara advised that the next administration should conduct the census at the beginning of its tenure when there isn’t so much at stake. “I won’t advise anyone to conduct national census in 2018. I said it before that if we are not going to achieve it in 2017, then we should just forget it until after 2019. If you conduct census at the niche of elections, there will be so much pressure, crisis and the lure for people to manipulate the figures for political reasons, such that the agency cannot even cope with”, the Speaker stated.